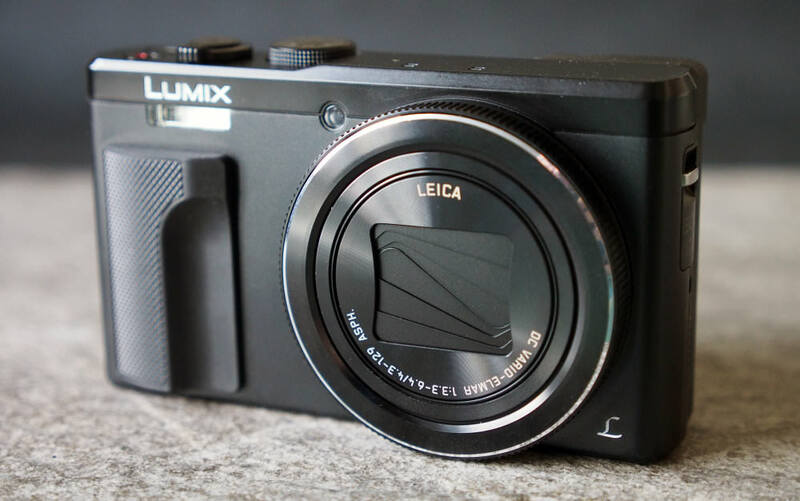 We review the latest travel zoom from Panasonic, the Lumix TZ80, with an 18 megapixel sensor and 4K video and photo recording. 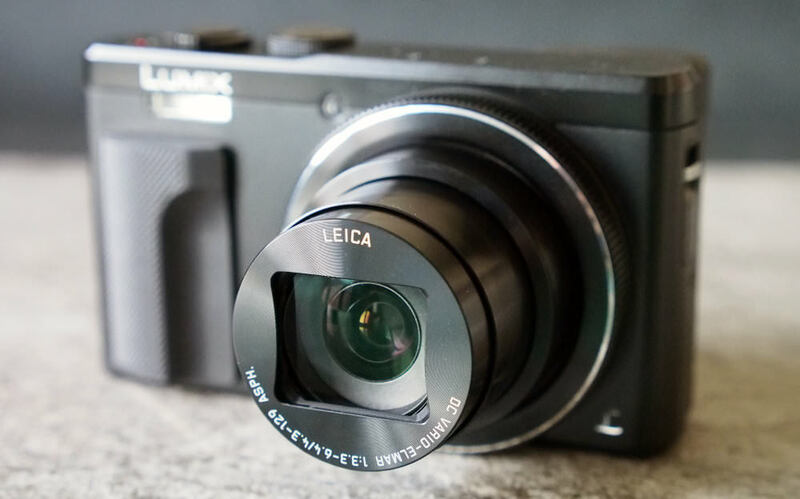 The Panasonic Lumix TZ80, also known as the Lumix SZ60, is an update to the TZ70, which is the number one seller in the Super Zoom Camera category, and the new TZ80 features a new 18 megapixel sensor, as well as the same 30x optical zoom lens, and electronic viewfinder. Panasonic has said that by using the latest sensor technology, they can give as good image quality as the TZ70 which has a 12 megapixel sensor, despite the higher pixel count. The TZ80 is also the first compact camera with 4K video / photo / post focus, and as the sensor is larger than camcorder sensors, the camera is said to deliver better video quality. The Panasonic Lumix TZ80 will have a RRP of £359, and will be available to purchase mid February 2016. The key selling point of the "Travel Zoom" or "Pocket zoom" camera is the impressive range of the optical zoom lens, built into a camera that can fit into a trouser pocket. You no longer need a bulky ultra zoom or bridge camera to get an impressive zoom range. The Travel Zoom camera category was practically invented by Panasonic with the first Panasonic Lumix TZ1, which featured a 10x optical zoom lens, and was announced in February 2006, 10 years ago. 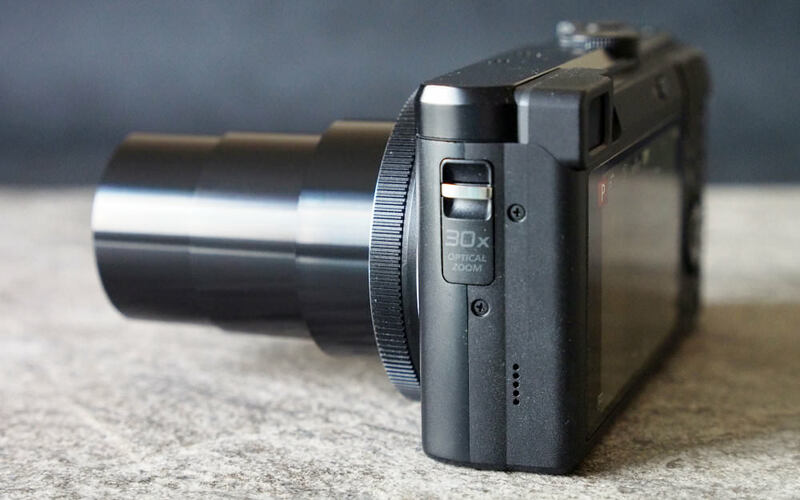 The TZ80 is roughly the same size as the original, but now features a 30x optical zoom lens, 4K video recording, and a built in electronic viewfinder. In the UK, the "Lumix" name is well known and often people will refer to the camera range as a "Lumix" camera rather than saying Panasonic. The TZ80 features the same 30x optical zoom lens as the previous cameras, and the lens is equivalent to 24-720mm in 35mm terms, and features hybrid 5-axis optical image stabilisation. Macro focus lets you focus on subjects 3cm away from the front of the lens, and hybrid 5-axis image stabilisation helps keep shots and video steady in low light or when using a lot of optical zoom. An 18 megapixel sensor is used in the camera, which Panasonic call a "Live MOS sensor", which is what they like to call their sensors. 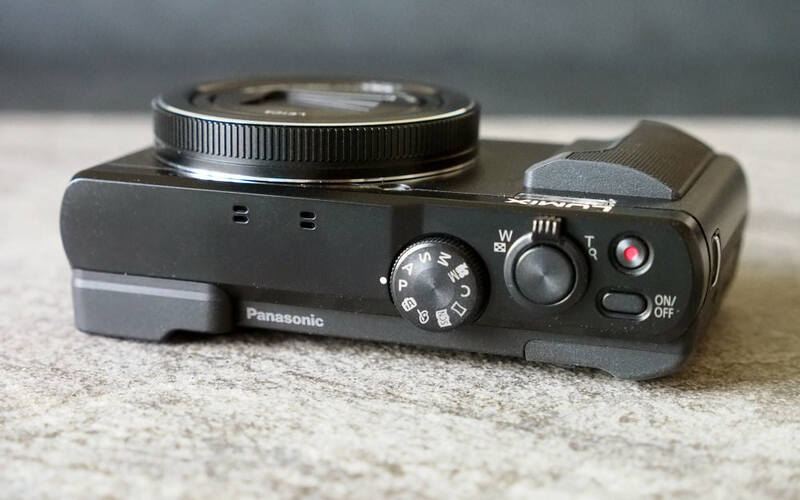 We believe the sensor is a BSI CMOS sensor, as Panasonic has said that it's the latest sensor technology. The ISO range extends from ISO80 up to ISO6400, and the camera can shoot at 10fps at the full resolution of 18 megapixels. A small electronic viewfinder on the back accompanies the 3inch touch-screen, which can be used to set the focus point as well as change options and view images. A mode dial on the top gives a wide range of shooting options, including manual controls, aperture and shutter priority, intelligent auto, scene modes, panoramic shooting and creative effects to name a few. 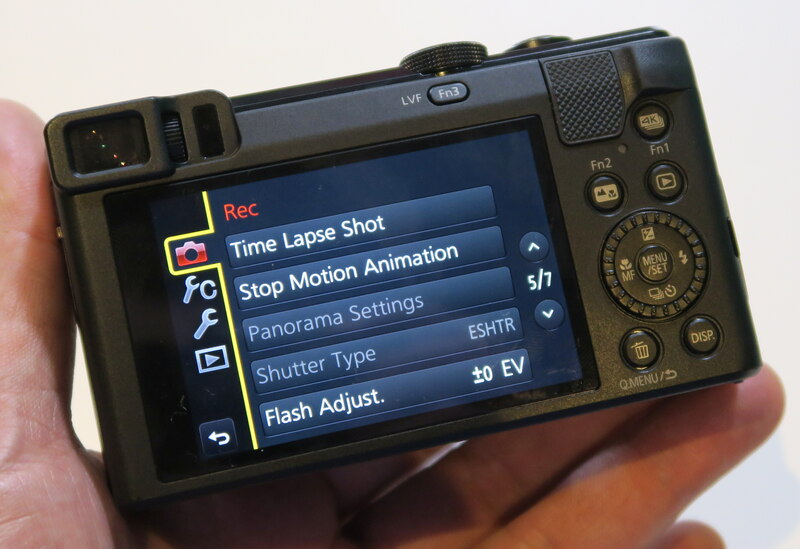 There's even a manual video mode for those that want to be in control when recording a video. Panasonic, along with Sony, has been a pioneer in 4K video and photography, and added 4K video to this camera. 4K photo is a Panasonic feature first introduced with the Panasonic Lumix G7, that lets you shoot in 4K burst, 4K burst (start/stop), and 4K pre-burst. You can also use Panasonic's post focus feature to set the focus point after you've taken the photo, and this saves 8 megapixel photos. Of course, as is expected these days, Wi-Fi is built in, letting you transfer images to a smartphone or tablet, although the camera does not features built in NFC. You can also remotely control the camera from your smartphone. Another option that has come to be expected, is a multitude of creative effects, and the TZ80 doesn't disappoint here, with a total of 22 creative effects including options like miniature, expressive and retro, etc. There are a variety of video options including of course 4K video recording at 25fps with stereo sound, and there are also manual controls so you can have total control of settings. We'll go into the video options and features in more detail later in the review, however one of the features available is called Snap movie - this records a quick video which can be shared via the Panasonic Image App on your smartphone or tablet. On first glance, there is very little difference between the TZ70 and TZ80, with an updated grip at the front and back, and a few of the buttons have changed. The camera has a solid feeling plastic and metal body, and the camera design gives it a more premium feel, with a solid build quality. Some buttons have been changed to give you access to 4K shooting, including the "4K" (Fn1) button nearest to the thumb grip giving direct access to the 4K photo modes. Shooting 4K photos with the TZ80 uses an electronic shutter to shoot at 30fps. The other new button is labelled "Fn2" and gives direct access to the post focus feature of the camera. These Fn / Function buttons can be customised as well, with another 2 physical Fn buttons available on the back of the camera. With the touch-screen you can setup another 5 function buttons, giving a total of 9 customisable function buttons. The electronic viewfinder (EVF) is quite small, but fairly clear, with a decent resolution. When using the EVF you can use the touch-screen to move the focus position, although if you are using your left eye you need to be careful that your nose doesn't touch the screen and change the focus position. You can switch this feature off if you want. Screen quality is excellent with a gapless design, with good colour and a clear display. It's also possible to view the screen outdoors in bright sunlight. You can use the touch-screen to set the focus point, right into the very corners of the frame. Face / eye detection is particularly useful when taking photos of people, with the camera correctly focusing on the subjects eyes. The Panasonic Lumix menus are clear and well laid out with built in help to make it easier to understand what the options are for without having to look at the manual. You can also browse the menus with the touch screen and the camera is very responsive and quick when you use the touch-screen. Using Wi-Fi you can connect your smartphone to the camera, and with the Panasonic Image App which is available for Android and iOS, you can remotely control and shoot with the camera, transfer images, add geotag GPS location data to shots, record a snap movie as well as create a photo collage. When shooting using the app, you can use the touch-screen of your smartphone to set the focus point, and you can change a wide number of options and settings without having to reach for the camera. Battery life - Battery life is rated at 320 shots according to Panasonic / CIPA test results, which is a slight improvement over the TZ70, and the camera now features a larger battery. 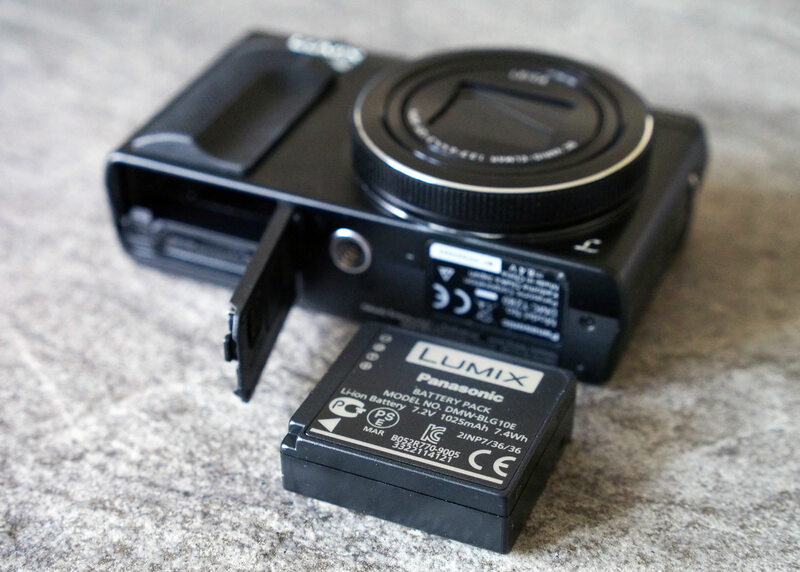 Charging is via the MicroUSB socket, so finding somewhere to charge the camera shouldn't be very difficult, and Panasonic are to be commended for switching to this from the proprietary cable on previous versions. Bought one. to save the weight of my SLRs in travelling. only to find you miss sot trying to get through the menu. You cannot use RAW or the super macro i use allot together, poor aperture and speeds. to much gimmicks, for a camera with such a good lens. impressed with the super zoom , that's about it. Most bugging thing about the camera. You miss shots by being in other modes, like you set for macro zoom, the super zoom does not work. You have to come out of that setting to enable the zoom to work fully. That Raw mode greys out some settings, It is fiddly to have to play with the setting, Would have been much better to make the camera simple build with more aperture and speed settings. All cameras should come with a screen protector. but the . Controlling exposure is also a menace when wanting to stop down and make mood, As you stop down take the photo, you find nothing has changed. Bought one. to save the weight of my SLRs in travelling. only to find you miss sot trying to get through the menu. You cannot use RAW or the super macro i use allot together, poor aperture and speeds. to much gimmicks, for a camera with such a good lens. It is fiddly to have to play with the setting, Would have been much better to make the camera simple build with more aperture and speed settings. All cameras should come with a screen protector. but the . Controlling exposure is also a menace when wanting to stop down and make mood, As you stop down take the photo, you find nothing has changed. Another conclusion after much use. Macro is not bad and az for the 3 zoom modes Well the zoom is amazing. Only draw back is the sensor is just not big enough to justify a Lica Lens. images are ok for snaps Nothing more. Your never going to get an image to put on the wall. Up loading your photos to the net for face book or to get likes may be as far as you get, you would not want to blow these images up or crop them.